How Do I Unsubscribe from Publishers Clearing House Mailings? "Help! I entered a Publishers Clearing House sweepstakes, and now I'm receiving too many emails and postal mail. How do I remove my name from Publishers Clearing House's mailing list?" Publishers Clearing House is a direct-marketing company whose business is selling magazines and other products. One of the primary reasons why they run huge giveaways on a regular basis is to build their mailing list so that they can try to sell to you. Remember, though, you are NOT obligated to buy anything to enter or win their sweepstakes, and making purchases will NOT affect your chances of winning in any way. "When you register with pch.com we will email you with offers of interest from pch.com and our marketing partners." "When you register with pch.com we may share your name and information with third parties who may contact you by mail with relevant offers." If you don't uncheck the boxes to opt-out of marketing messages, you can expect to receive marketing emails and/or postal mail after you enter. Remember, those offers fund the big prizes, and at any time, you can say, "enough is enough" and be removed from the lists. If you do not want to receive marketing communications from PCH at all, be careful to opt out before submitting any form to them, including your sweepstakes entries. Hopefully, you will enjoy the emails that you receive from PCH. That would be the best case for you and for the company. But if you are receiving too much mail or if you don't like the content, you can ask to be removed from the lists. To remove yourself from Publishers Clearing House's own mailing lists, contact PCH directly. You can remove yourself from sweepstakes entry offers as well as from any other kinds of marketing offers. Read How to Contact Publishers Clearing House to find the links to remove yourself from Publishers Clearing House's own mailing lists. 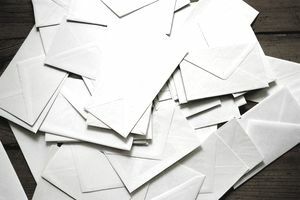 If you are receiving too many emails rather than postal mail, you can take the same steps to unsubscribe from all Publishers Clearing House emails. You can also follow the unsubscribe directions found in each email. Remember that you also agreed to be contacted by third parties? That means that there are two different types of mailing lists you could be added to when you enter sweepstakes: Publishers Clearing House's own mailing list and the mailing lists of their partners and affiliates. Unsubscribing from PCH mailings won't necessarily remove you from the mailing lists of their partners. To remove yourself from partner email marketing lists, use the unsubscribe option that is included in each email. Look for the "EZ Unsubscribe" seal in the emails for more information. If you are receiving postal mail from PCH's partners, look up the companies' privacy policies for information about how to unsubscribe. How Long Will It Take Before PCH Mailings Stop Coming? PCH's FAQ promises that unsubscribe requests are processed right away. However, as with most direct marketing companies, marketing campaigns are prepared well in advance. Because of that, it can take a few weeks before the emails or the letters stop coming. This holds true for both postal and electronic mails. The mail should stop altogether within ten days. It's a good idea to take note of the date that you unsubscribed, and if mail continues to come after ten days, contact PCH to see if there was a problem with processing the request.